WHERE DO I GET A COPY LOCALLY? 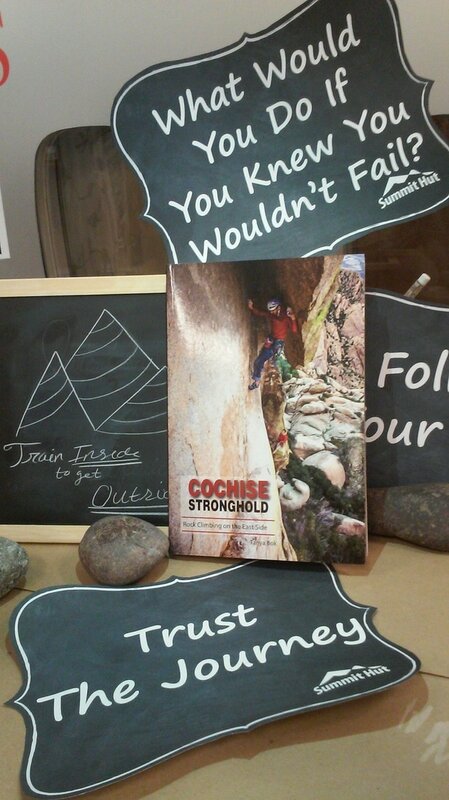 Check out what people have been climbing in the cochise stronghold! Do you have some photos from your trip that you want to share and inspire others with? #cochiseclimbing @cochiseclimbing on Instagram or email to us HERE. Climbing like a woman possessed, taking endless photos, and thousands of computer hours to tackle the graphic design. I quit a few times, I had my first wobbler both on and off the rock, I wore out my feet and had surgery, I even killed 2 computers. So why keep at it? The Stronghold inspired me, pushed me, and change the course of my life. It holds an adventure for everyone in its wild labyrinth of domes and canyons. The crux has always been the lack of beta, the hardman persona that intimidates people, and the complex navigation. I wanted to give others the opportunity to experience the Stronghold as I know it- a place of self empowerment. So I have seen it through and I have learned that we all can do anything if we believe in ourselves. What is your inspiration? Each guidebook comes with a complimentary beer! Try a Dragoon IPA or a Stronghold Session. 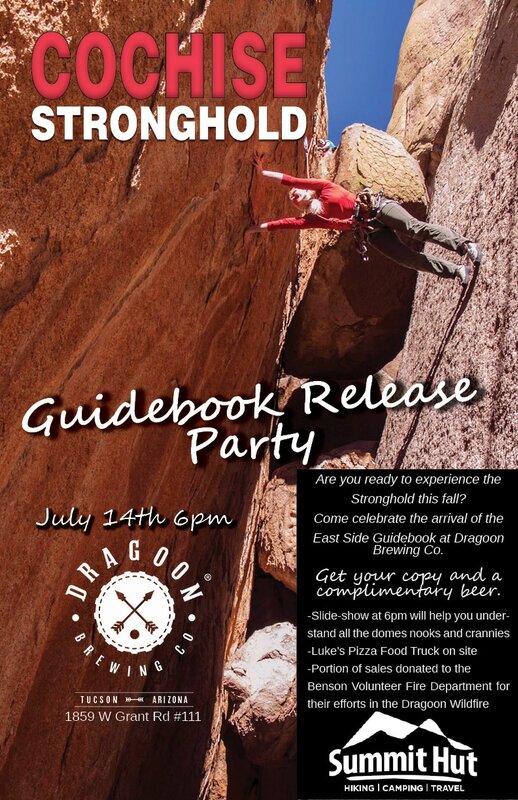 There will be a slideshow to some you some featured climbs, new moderate areas and how best to navigate the book. Getting you ready for the fall season! T​HE FIRST BOOK IS HERE! Get one now to start planning your perfect road trip at www.cochiseclimbing.com. You can also Pick one up at Summit Hut in Tucson. WE ARE RUNNING A PHOTO CONTEST. KEEP TAGGING YOUR FAVORITE STRONGHOLD PHOTOS ON INSTAGRAM #COCHISESTRONGHOLD AND GIVE US A FOLLOW @COCHISECLIMBING SO WE CAN CHECK THEM OUT. WINNERS WILL GET A COPY OF THE WEST OR EAST SIDE GUIDEBOOK. CHECK OUT THE COMPETITION BELOW!! This website has been created so I can share my Cochise Stronghold knowledge with you and create a place where you can get the best resource for the area directly from the guidebook writer.